The primary objective of boardrooms is to build and sustain shareholder value over the long-term. If a firm wants to achieve sustained success, building and sustaining brand equity and superior brand management are essential strategy initiatives for the boardroom. Yet most companies still view branding as an image exercise and give it low organizational priority. Brands are more than trademarks that identify products and services. 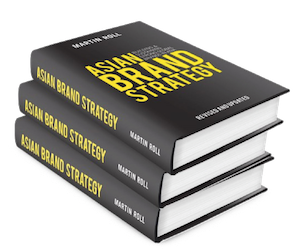 Branding encompasses everything related to vision, mission, business strategy, strategic marketing, and communication programs. Branding is a serious, long-term investment that must deliver Return On Investments (ROI) like any other business activity. Therefore, the brand itself and the portfolio of brands must be perceived as assets. Using the right metrics to measure brand value, equity and activities are crucial – as KPIs and benchmarks provide information about business progress and any adjustments needed. For any boardroom, the most powerful arguments are those than can be explained in financial terms. A discussion of branding, therefore, must begin with an understanding of just how valuable a strong brand is to a company, and how essential brand equity is for companies to succeed in the global landscape. How does a brand impact financial results? Will the product or service perform to expectations? Is the product or service worth the price charged? Will there be opportunity costs if the product or service fails? Is the product or service safe to use? Does it pose a threat to the health or the environment? Does it fit the personality and values of the customer? Premium pricing and higher margins: Branding provides a way out of commoditization and its consequent profit erosion because supply and demand dictates products in higher demand can charge a higher price. Too often, pricing is the only competitive tool for firms who wear themselves down on razor-thin margins. Branded goods most often sell for far more than the value of their parts. Just look at the difference in value captured by manufacturers who produce goods for branded retailers. A branded sports shoe produced in Asia at an estimated USD 5, sold to a sports shoe brand for USD 10 can eventually be sold to the end consumer for USD 100 – in other words, a twentyfold increase throughout the “product-to-brand” value chain. This is one major reason why many Asian companies, especially in technology-related categories, are shedding their Original Equipment Manufacturer (OEM) reputations, and establishing their own brands in local markets and then seeking to expanding overseas. The Korean brand Samsung is a good example of an Asian company that went through that transformation, and is emerging as a strong, global consumer electronics brand from Asia. According to income statements of 1,500 Standard & Poors companies, an average product price increase of 1 percent generates an 8 percent increase in operating profits – a 50 percent greater impact than a 1 percent decrease in variable costs and more than three times greater than a 1 percent increase in sales volume. Therefore, it matters financially for companies to think about enhancing the revenues instead of only focusing on reducing the cost side. This is where branding and brands play an important role in order to command a price premium. Increasing the value of the company: Brand value is one of the main reasons why the market capitalization of a company often exceeds its book value in mergers, acquisitions, licensing, joint ventures and other financing negotiations. An examination of stock exchanges demonstrates that a large proportion of a company’s value is derived from the value of their brand. On the New York Stock Exchange and NASDAQ, for example, intangible assets are known to account for 50–75 percent or even higher of the market capitalization of listed companies. Other studies have found more than 70 percent of the market values of Fortune 500 companies are comprised of intangible assets. Stock market performance: There is a definite linkage between branding and shareholder value creation. After adjusting for risk, companies with strong brands outperform the market on several financial dimensions. An investment portfolio of companies with strong brands, for example, yields an average monthly return of more than 1 percent higher than a benchmark selection of companies from major stock exchanges. Measures of risk determined by volatility and vulnerability of cash flows compared to the market average are also lower for the strong brand portfolio. Not only do strong brands outperform the market, they do so with less risk. Improved financial ratios: The impact ofbrand performance on financial ratios is also significant. Liquidity ratios such as current ratio and quick ratio, which measures a company’s ability to meet cash needs as they arise, are better for strong brands. The strong brand portfolio also outperforms benchmark groups in leverage ratios such as times interest earned – a measure of the extent of a firm’s debt relative to equity and its ability to cover interest and charges. Most importantly however, strong brands demonstrate greater return on equity. Profitability ratios, such as gross profit margin, operating profit margin, net profit margin and return on equity all indicate higher overall performance and greater efficiency in managing assets and liabilities. Until the 1980s, tangible assets like manufacturing plants, land, property and financial assets were perceived as the main sources to account for on the financial balance sheet. While there was a growing acceptance that intangible assets like brands generated a large part of shareholder value, there was no generally accepted method of how to account for them. Brand value methodologies were developed to explain the ever-widening gap between company book and market values but also account for the huge increase in the premiums paid for mergers and acquisitions during the 1980s into the 1990s. During this period, the focus on brand valuation methodologies started to take off. Today, annual lists of the world’s most valuable brands become so important that many companies refer to their ranking on their corporate website as an achievement. Even though these lists create much controversy and debate about the way the brands are ranked due to the variety of brand valuation methodologies, it has made a huge contribution to the way marketing and brands are viewed, managed and measured by global boardrooms. The increased focus on brand valuation and its impact on company success have fostered a new important link between the CEO, CFO and Chief Marketing Officer (CMO) as part of important strategic discussions in the boardroom. Brand contribution: The second step is to assess how much the brand contributes to demand, thereby measuring what the brand contributes above intangible earnings. Association and preference metrics are the most common factors for determining the proportion of intangible earnings related to the brand. Brand earnings are calculated by multiplying the brand contribution (for example as a percentage or an index factor) by the intangible earnings from the financial analysis. Brand value: The final step is to calculate the net present value of the expected earnings discounted by a rate which best reflects the risk of the future earnings. The discount rate takes into consideration the strength of the brand. In principle, strong brand equity can accelerate and enhance cash flow and can lead to less volatile and vulnerable cash flows. Since the brand is expected to generate earnings after the periods that can be reliably predicted, an annuity component should also be added to reflect the continuing long-term earnings after the forecast period which is typically 5 years. Brand equity is different from brand value in that it is not a purely financial measure, but a way of calculating the reputational asset that a successful business builds in the minds of customers. It is the overall measure of brand strength – including brand value in financial terms. In other words, it is an aggregate measure of brand health and strength which can be used as a measure for strategic purposes. Although brand equity does not appear on financial statements, brand equity should be the primary objective of boardroom strategy: To enhance and sustain the brand equity of individual brands and/or portfolio of brands. Ultimately, it is the customer and their choices that determine the success or failure of the company, so brand equity is an effective measure of customer affinity to the company through its brand or portfolio of brands. Customer knowledge about the brand, perceived differences compared to competitors and their effects on purchase behavior lie at the heart of brand equity. The knowledge and associations attached to the brand result in choices which have a direct impact on financial performance and shareholder value. Knowledge metrics: These measure a brand’s awareness, and functional as well as emotional associations through the many stages of recognition, aided, unaided and top-of-mind recall. The emotional associations of a brand are very important drivers of brand equity (but often underestimated and overlooked by business leaders and marketers), and it is crucial for brands to score high on both awareness and association attributes to establish and sustain their presence in the market place. Preference metrics: These measure a brand’s competitive position in the market and how it benchmarks relative to rival brands. Conceptually, customers pass through various levels of brand preference stages which ranges from awareness and familiarity of the brand to regular usage and strong loyalty. Obviously, brands seek to optimize their recurrent revenues from the customer base. A strong brand moves its customers through the brand preference funnel towards loyalty. Research in recent years have showed that customers may not necessarily run through a preference funnel in a linear fashion from awareness to loyalty but could also navigate in other patterns, but conceptually the most important aspect is to understand how customers interact with the brand. Financial metrics measure the overall value that a company generates from investments made in building and managing brands. Companies need to make sure business drivers and marketing metrics are aligned, so the impact of brand equity on the financial outcome is maximized. Once a firm understanding of brand measurement at the corporate level has been established, we can dig deeper in the micro-activity level of how different metrics can be introduced to measure marketing effectiveness. Marketers are always asking themselves: How can we better measure marketing activities that relate to the unpredictable and complex nature of human beings? How can we reduce the degree of ambiguity in marketing results? Probably the biggest problem that marketers face is their inability to quantify marketing outcomes. The marketing function incl. the CMO has been under huge pressured in recent years to effectively quantify, measure and manage marketing outcomes. Marketing investments refer to money spent on marketing communications, promotions, sponsorships and other activities aimed at creating long term customer-company relationships. When companies invest money in these activities, they expect some sort of return on the investment. Thus, marketing productivity refers to the ability of these marketing investments to yield results. Measuring the productivity of these marketing investments is highly challenging for companies because of the nature of marketing activities. The global brand Standard Chartered Bank, for example, sponsors an annual marathon in Singapore (Standard Chartered Marathon Singapore), as do many other financial institutions around the world. Standard Chartered Bank is a global financial institution headquartered in London and banking is obviously not related to running a marathon. But still, the bank spends money organizing and publicizing the event, recruiting participants and rewarding winners. How should the bank measure the return on money invested in the sponsorship? Will it be wise to assume participants would become eventual customers? Can the return on sponsorship be measured in terms of increased sales, retail traffic or some other financial measure? When measuring the returns of marketing investments, metrics should not be limited to just financial metrics such as sales, increased retail traffic or increase market share. Even though these are important, they do not measure the overall benefits that a company could possibly reap from such activities. Customer impact: This refers to the extent to which any marketing investment, such as an advertisement or sponsorship, has made a positive impact on consumer perception, attitude and experience. Such an impact may not result in immediate sales or increased market share, but they would certainly enhance the company’s image in the eyes of consumers. The Standard Chartered Marathon Singapore could be classified as a failure if its productivity is measured in traditional financial metrics, but it can be a successful marketing investment if measured in terms of its potential to create a long term positive customer impact. Market impact: The power of marketing communications is that it not only impacts customers but also sends strong signals to the market and competitors. When Nike decided to have Asian celebrities endorse the brand in Asia unlike their European and American counterparts at the time, it not only helped Nike create strong associations with Asian consumers but signal its serious intent in the Asian market to local and global competitors. The French cosmetics and skincare conglomerate L’Oreal benefitted from the same effect some years back when they started to expand strategically across Asia. They were one the first global beauty brand that used Asian models for their localized marketing in Asia hence showcasing their long-term commitment to Asia. Therefore the return on such an investment could not be measured solely by sales or market share but also in terms of the effect it has had in the market in the long run. Brand impact: Companies across the world are slowly realizing that the most important corporate asset is the brand. A strong brand has the power of attracting more customers, warding off competitors, gaining favorable treatment from distribution channels and commanding a higher price. As such, companies should ideally invest in those activities that enhance the equity of the brand. Marketing managers should measure the impact of marketing investments on brand equity and customer relationships such as brand awareness, brand switching and brand loyalty. In the Standard Chartered Marathon Singapore example, the bank may not gain immediate sales, but such community events would positively impact consumers’ perception toward the bank, may increase brand awareness and ultimately enhance brand equity. But these advantages would not be assessed if companies restrict the measurement to just financial metrics. Branding is not a luxury – it is a necessity for local, regional and global companies that aspire to compete successfully in the future. Brands are becoming major assets for companies, so brand measurement and management are therefore key aspects to successful business strategies on a broader scale, and to long-term competitiveness and profitability. In the field of brand management, financial brand valuation is a relatively new development. For the most part, marketers throughout marketing history were not able to fully justify the financial implications of marketing and branding related expenses – though everyone acknowledged that brands were important and did contribute significantly to business performance and financial outcomes. Today, these financial business impacts are more evident, and have gained the awareness and active involvement of the entire C-suite. Strong brands have higher gross margins, stock market performance and financial stability among many other leading financial metrics, so CEOs, CFOs and CMOs are actively using brands as drivers of company value. Measuring a brand’s value now provides companies with an internal framework for strategic management when it comes to mergers & acquisitions, licensing, joint ventures, alliances, collateral for debt and other applications. Measuring brand equity provides a more accurate understanding of how brands are driving customer demand and influencing long-term loyalty and profitability. Measuring the return on marketing investments without restricting measurement to purely financial metrics is an important step towards solving marketing productivity. Together, more effective measurement of financial brand value, brand equity and marketing activities should enable corporate boardrooms with the strategic tools necessary to enhance long-term customer loyalty, brand equity and shareholder value.